Why Do We Need Stock Assessments of Fisheries? This video shows the ABCs of an invaluable tool for scientists and managers. 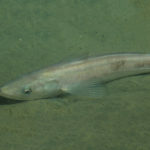 Do Hurricanes Affect Fish in Deep Water? 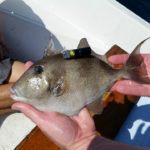 Tropical systems can cause gray triggerfish to evacuate. 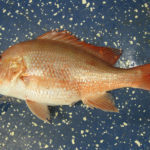 Will a Simple Tutorial Help Anglers Build Up the Red Snapper Population? Chance of survival increases when releasing a fish through use of a descending device — a tool that returns a fish to its depth at capture. Can Education Correct Unlawful Behavior? 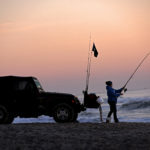 A class for anglers with fishing citations pays off. 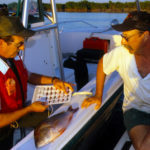 What Leads Anglers to Report their Catch Voluntarily? Some anglers eagerly contribute important information on fisheries — and some anglers don’t. Can Fish Compete with Man-Made Noise? 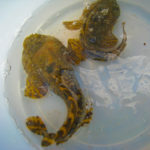 For the oyster toadfish, boat noise impacts communication. 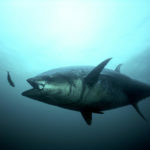 Why Do Some Anglers Target Bluefin Tuna While Others Do Not? The answer partially depends on annual income. What Are the Barriers to Life Jacket Use? Only 1 in 10 boaters in this study wore a life jacket during the entire recreational boating trip. 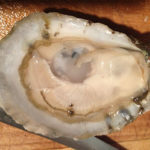 Do Bacteria in the Water Infect Us through Shellfish? Water sampling could help to better understand potential risks to shellfish consumers. 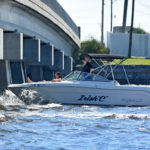 What’s the Greatest Risk to Your Boat? 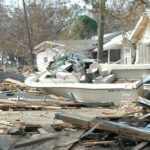 Hurricanes result in some of the most frequent boating insurance claims.